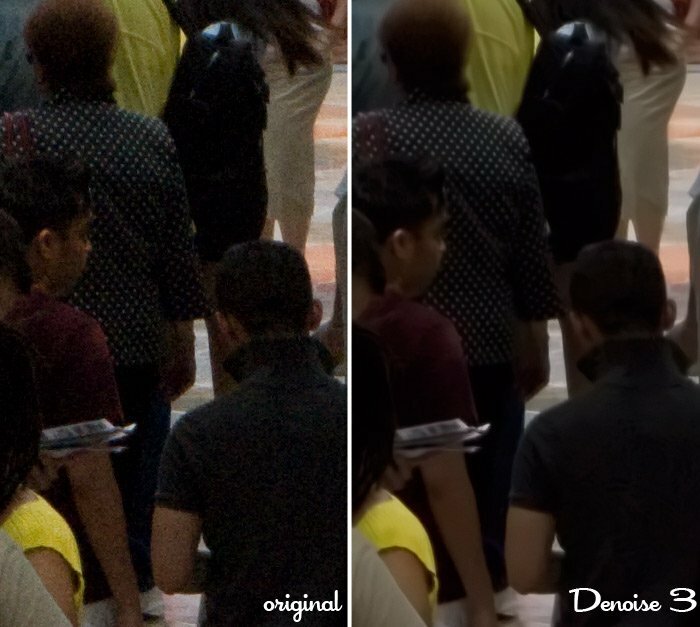 Home »Photography»Topaz Labs Denoise 3 – tough on digital noise! Topaz Labs Denoise 3 – tough on digital noise! I was trying to capture a few shots of this tradeshow for a project. It was on the weekend and I had plans later that made carrying my full gear difficult. Enter the G9 … perfect solution. In the camera’s preview, the image looked great. But, when I looked at it full screen on my monitor, I was very disappointed by all the digital noise. Thankfully, Denoise 3 is tough on noise but kind to details. Yesterday, I discussed the general changes from Version 2 to Version3. Let’s see how it handles this photo. Two things to point out about the above section: the polka dots stay sharp but the noise in the solid black shirt completely disappears. Impressive! 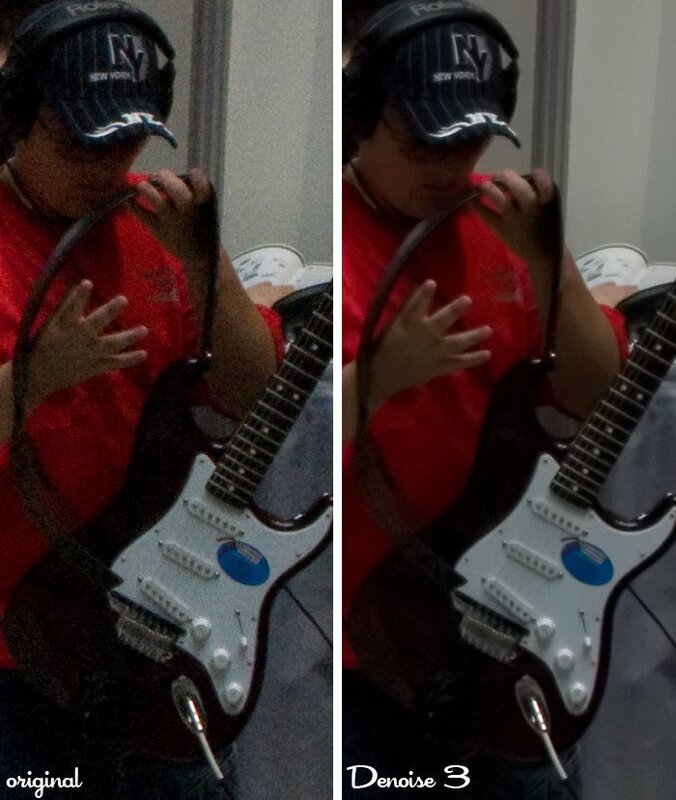 Take a look at the above section: the pinstripes in his baseball cap stays sharp and so do the guitar strings. 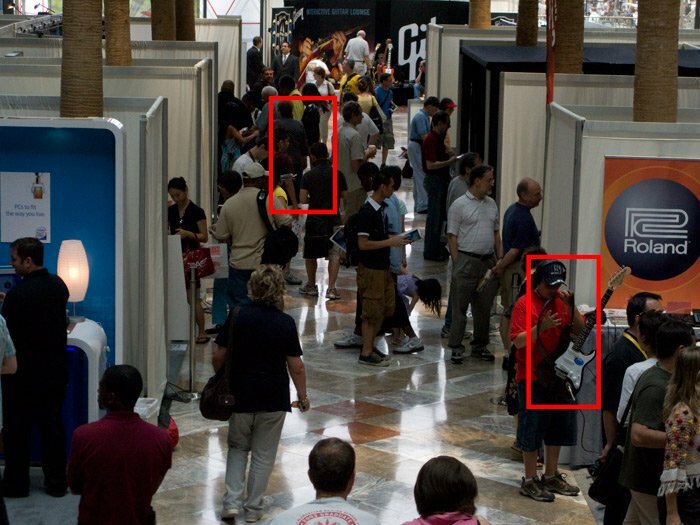 The overall colors stay accurate including the red shirt and skin tones. The more I use Denoise 3, the more impressed I am with it. ← Previous Previous post: Review: Topaz Labs Denoise 3 – Wow!! !